Rockland is situated on the La Crosse River Sate Trail about six miles west of Sparta at the bottom end of Fish Creek Valley. It was once a thriving farming community that was home to two banks, a feed store, a feed mill, two department stores, a blacksmith shop, a lumber yard, a creamery, a cheese factory, an ice house, two stockyards, two railroad depots, a hotel, a restaurant, a tavern, and at least four grocery stores. In later years, there was also a sawmill that burned to the ground in a spectacular blaze in 1973. Now the village is a bedroom community with over 500 residents and growing. 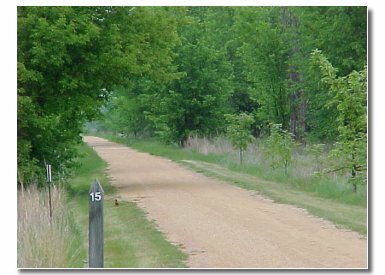 A recent addition is the prairie Natural Area that stretches about two and one half miles to both the east and west along the trail. Over much of the included five miles, a community of prairie grasses and associated broad-leafed plants grows today as it did when the first Europeans settled.